Heistand returns to the coaching staff for his 6th season as the head coach of the Valley View Spartans. 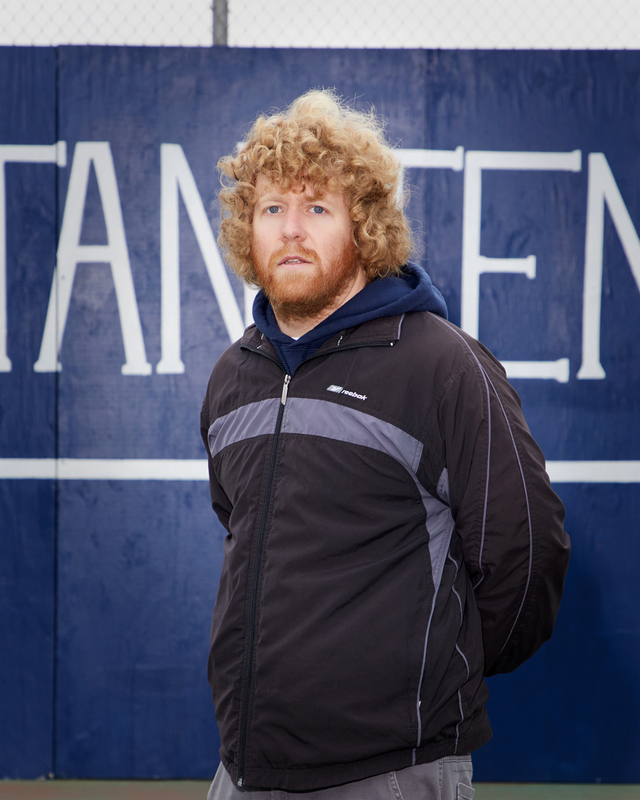 He began his coaching career in tennis as the Junior Varsity coach at Valley View during the 2011 Boys season. He then took over the middle school boys tennis program at Miamisburg from 2012-2013. In 2014 he moved back to his alma mater, at the high school level, taking over the program he played for 8 years before. 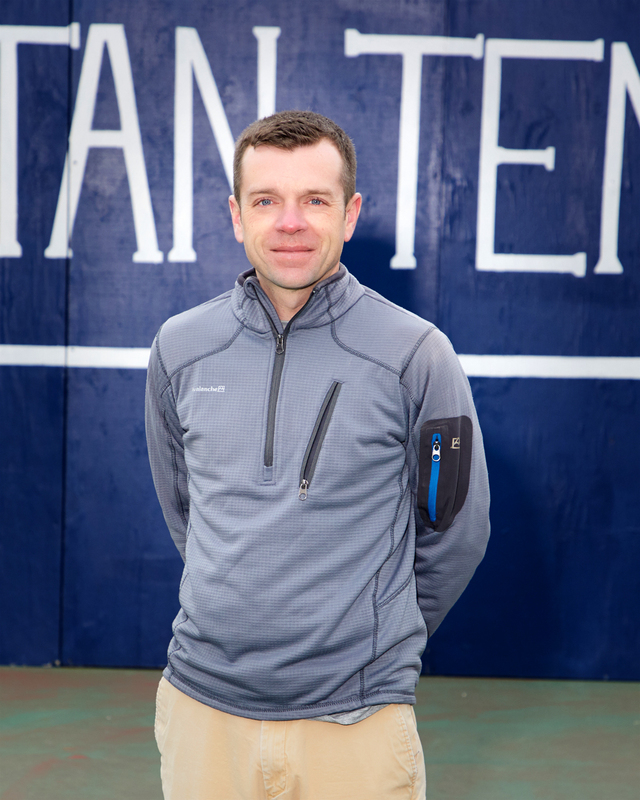 He is the first former player of the tennis program to take the helm of the team as the Varsity coach. 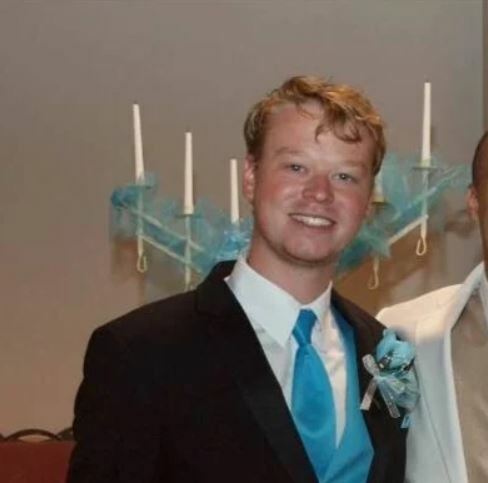 Heistand currently resides in German Township, Ohio with his wife Taylor and his dog (boxer) Turbo. 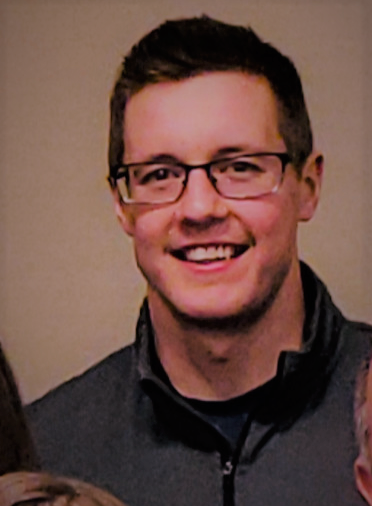 He is in his forth year teaching science at Valley View High School (8th year overall), with the courses Ecology, Natural Resources, Biology, Principles of Science, and Physical Science. As a side business he owns his own Taxidermy shop, Heistand Taxidermy, where he preserves deer, birds, and other animals. Todd Lovelace rejoins the team as a forth year coach. He is a life long tennis fan and played all four seasons on the Middletown high school tennis team. 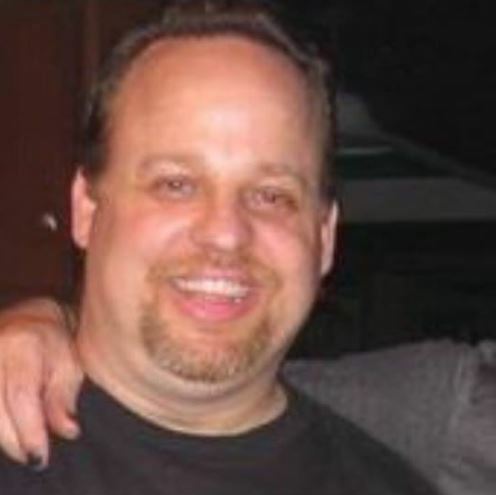 Todd resides in Germantown with his son Braden, works as an manager for the University of Dayton Food Service, and is a graduate of Miami University. I am a 2006 Valley View graduate who played three sports including golf, basketball and tennis. I attended Miami University where I studied Accounting and currently finishing up my MBA at Wright State University. I have been working in Accounting and Finance for several years and currently reside in Miamisburg with my wife Kaitlin who teaches 5th grade at Eaton. My hobbies include all things sports and my favorite sports team is Indiana Hoosiers basketball and my favorite tennis players are Stan Wawrinka and Novak Djokovic. 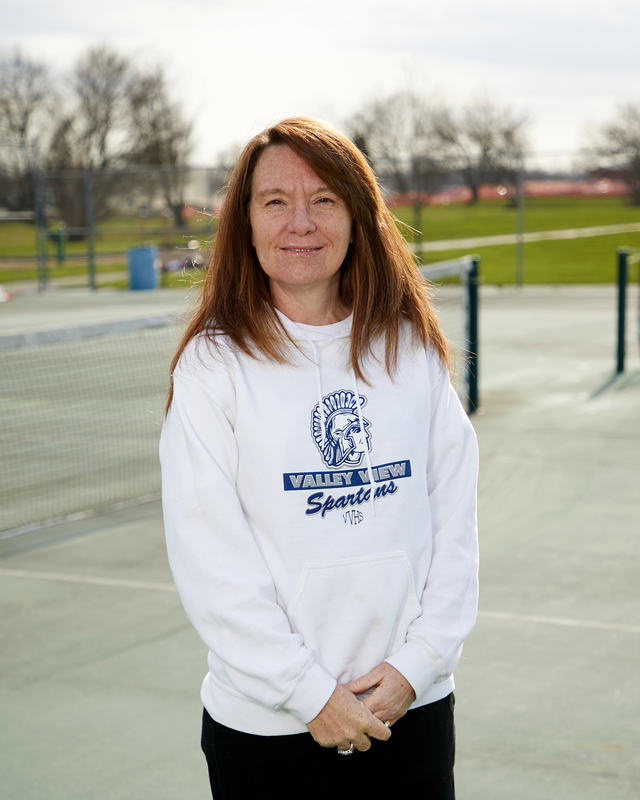 Coach Berger is entering her fifth season in the Valley View Tennis Program. She graduated from Miamisburg High School in 1990, where she played 4 years of varsity tennis in singles and doubles. In the years following High School, she played in college and then in a Volvo League into her mid-twenties before taking a break to be a mom. This is her second year coaching the middle school team, but she has coached the high school Junior Varsity girls team for the last three years. Coach Berger is excited to work with the Junior High kids. It is a great opportunity for the Valley View Tennis Program to develop and grow at an earlier stage. Her hope is to ignite a love for the game in the players to carry them through life. 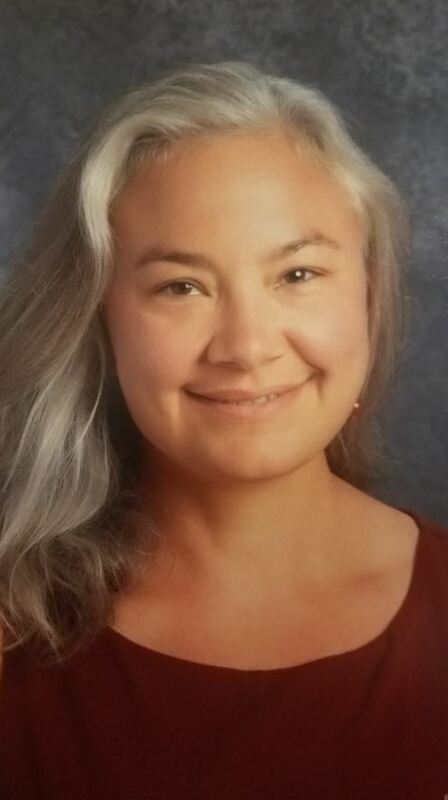 Tina currently resides in Germantown with her husband, Tommy and two daughters Skylar and Caley. 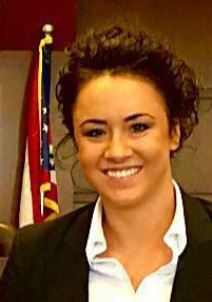 She works at Kettering Municipal Court. Susan Holbrook is in her second year coaching and is joining the team as a parent and fan of the Valley View tennis program. She will be assisting with the Valley View Junior High Tennis Team. She resides in Germantown with her husband, Eric, and three children, Emily, Ben and Lilly. All three children have played in various levels of tennis over the past several years through Valley View and is looking forward to another exciting year watching the kids improve their skills on the court and grow as athletes. Coach Amy Webb is in her first year of coaching, although she has been a Valley View tennis parent and fan for three years. 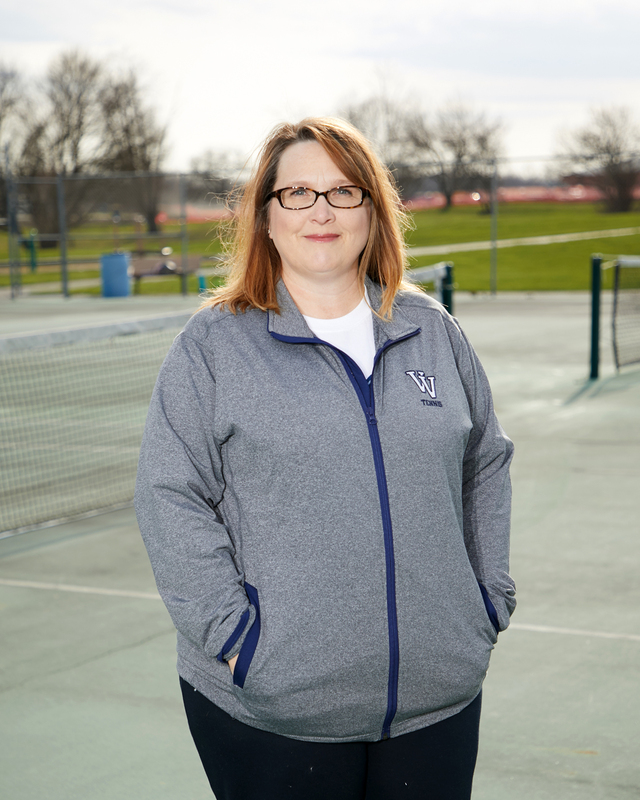 This fall, she served as an assistant coach for the High School Girls Tennis team as Junior Varsity coach. She is an Edgewood High School graduate, where she played 3 years of varsity tennis and has played for leisure throughout the years. Amy has been excited to get back into the sport, helping kids develop their skill and their love for tennis. She is eager to help with the Middle School Program this year, as this is where her daughter, Lillian found her own passion for the sport. She resides in Farmersville with her husband, Arnold, and three children, Lillian, Skylar, and Grace. She teaches Family & Consumer Science at Kettering Fairmont High School.